Been a while since I have posted anything; time flies when your having fun. I thought I would post a recent builds/other things here. 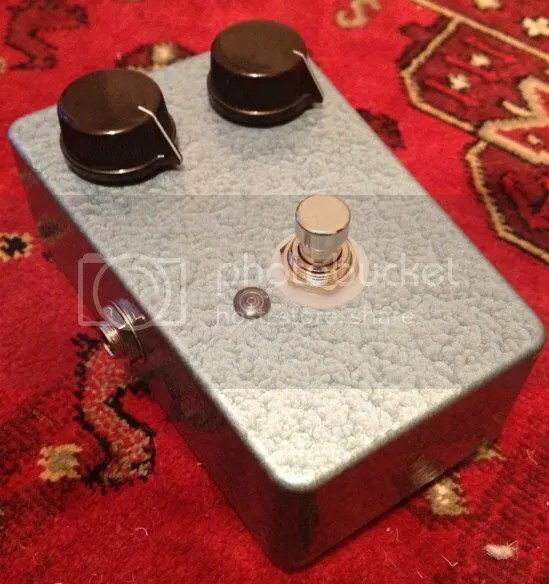 First up, is the ‘Sloppy Kiss’ vibrato (based on the Bigfoot FX Magnavibe). This is a Vibrato based on the old Magnatone amp’s vibrato circuit. Its a real ‘swampy’, subtle effect. 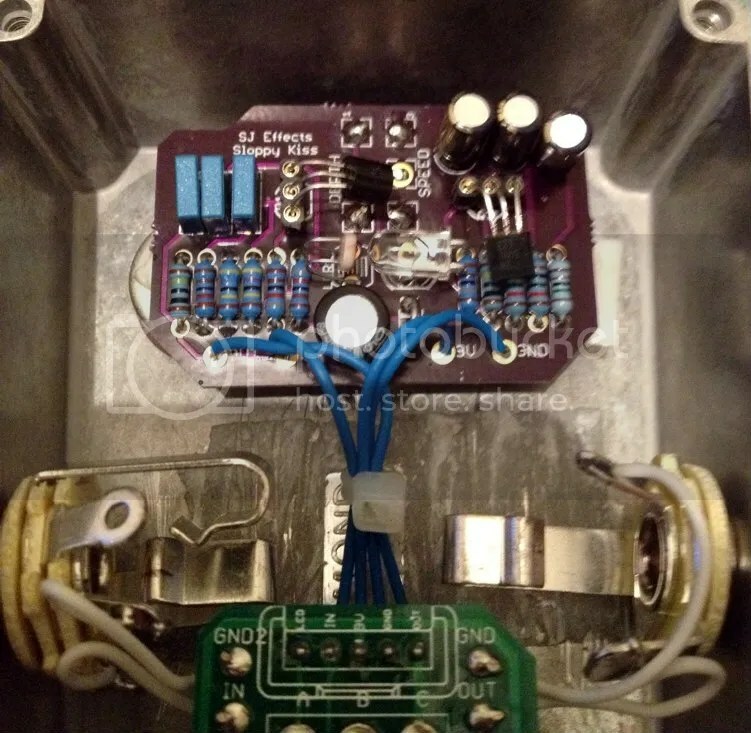 I don’t usually like Vibrato’s pedals but this on is really cool. 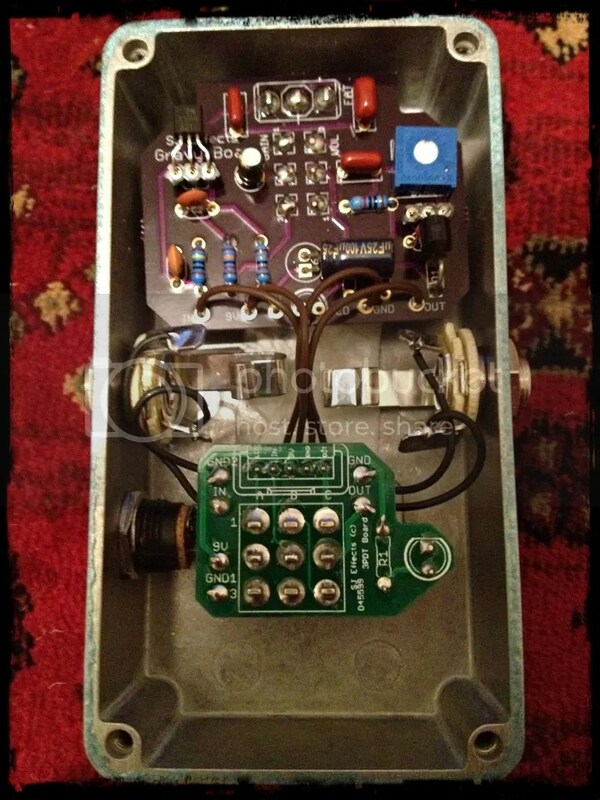 The original Bigfoot FX Magnavibe can be purchased at Bigfootfx.com. 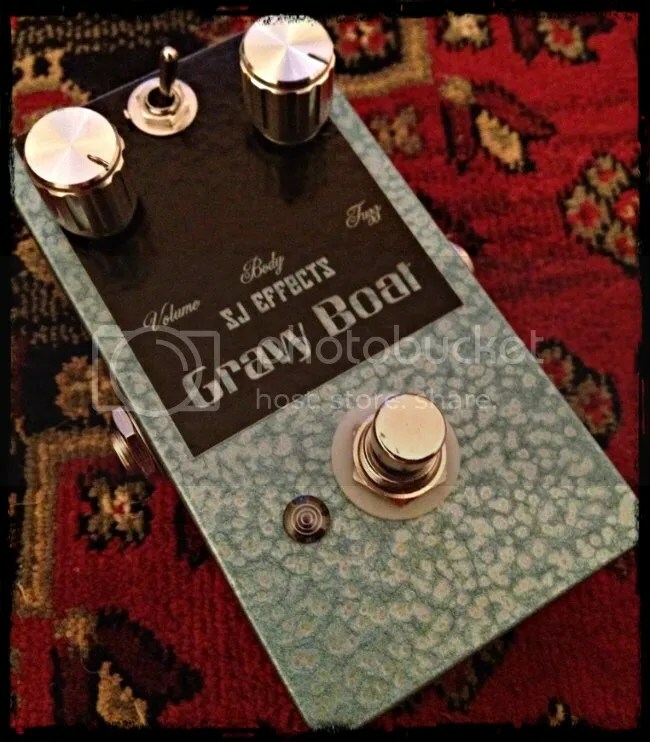 This is another Gravy Boat Fuzz pedal I built recently (Fuzz Face/Coloursound OKF variant). It has a decal style that I am currently experimenting with; I think it will look really cool after a bit more tweaking.